This deliverable presents the first version of a generic federated OOP architecture, supporting interconnection and interoperability of national registries at the EU level. The first version focuses on interoperability at business and information level, to be extended iteratively in the future versions. The deliverable includes, among others, the requirements, the initial building blocks, and the interface specifications of the generic federated architecture. The architecture is in line with EU key frameworks like EIRA and EIF, takes into account the e-SENS European Interoperability Reference Architecture and is based on the CEF Digital Service Infrastructures (DSI) and the building blocks consolidated by the e-SENS project. Target group: Public administration representatives responsible for the implementation of the European Digital Agenda and/or dealing with national e-Government strategies, business registers, interoperability issues; IT industry companies providing software and IT services for public administration; standardisation bodies; End users of TOOP solutions (e.g. 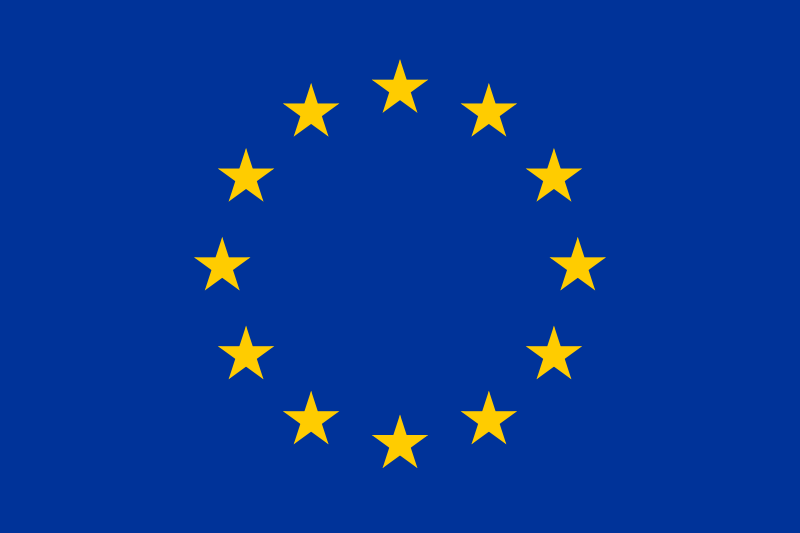 businesses); European institutions, research institutions, organisations, and communities related to the implementation of the European Digital Single Market. This document presents the second official version of the generic federated OOP architecture. It develops further and extends the deliverable “D2.1. Generic federated OOP architecture (1st version)” (D2.1). The architecture supports interconnection and interoperability of national registries at the EU level, is in line with existing EU frameworks (EIRA, EIF), takes into account the forthcoming regulation about the Single Digital Gateway (SDGR), and uses results of the e-SENS European Interoperability Reference Architecture. It provides support for future developers of OOP projects and is based on the Connecting Europe Facility (CEF) Digital Service Infrastructures (DSIs), the Building Blocks consolidated by the e-SENS project, and in justified cases, on the new building blocks. The deliverable develops further and extends the deliverables “D2.1. Generic federated OOP architecture (1st version)” and “D2.2. Generic federated OOP architecture (2nd version)”. Compared to D2.2, this deliverable provides new Business Architecture, Information System Architecture, and Technology Architecture views. It is complemented with specific views addressing cross-cutting quality concerns, such as Security Architecture and Trust Architecture. The deliverable has also been further aligned with the existing EU interoperability frameworks, such as EIRA and EIF. The Architecture Principles and Architecturally Significant Requirements constitute the Architecture Drivers and Decisions. The Stakeholders section present the goal model of TOOP architecture, its target users and use cases, as well as main stakeholders. This deliverable includes an inventory of the legal landscape and the regulations (both existing and emerging) that will have an impact on TOOP pilot activities across the pilot areas. It focuses on the legal drivers and barriers and explains how these barriers will be addressed within the context of TOOP. Firstly, the deliverable identifies key legal principles with a basis in EU law, in order to identify horizontally applicable rules that govern the application of the once-only principle, and to create a legal assessment framework that allows legal barriers and challenges to be identified in any once-only use case. Secondly, it identifies and describes specific applicable legislation per pilot area in order to identify concrete legal requirements for the execution of the pilots. In practical terms, this can be understood as the application of the legal assessment framework to the three selected pilot areas. Thirdly, it proposes a legal solution framework that can be applied in the three pilot areas to ensure that TOOP operates in compliance with existing law. Access TOOP statement on the Single Digital Gateway Regulation here. The objective of this position paper is to explain the once-only principle (OOP) as it is understood by the partners in the project and to summarise the motivation and ambition behind TOOP. TOOPs aim is to explore and demonstrate the once-only principle on a cross-border, collaborative, and pan-European scale by using a federated architecture to implement multiple sustainable pilots. Therefore, the project’s approach to the OOP is specific, focusing on information related to businesses activities and on cross-border sharing of this information. A more extended description of the project’s approach as well as pilot descriptions can be found in the document. This deliverable presents the TOOP pilot participants’ perception of the key barriers and drivers for the cross-border implementation of the once-only principle (OOP), which were studied on the basis of a literature review, survey, focus group interviews and workshops. In regards to legal challenges, key concerns for a cross-border OOP implementation include meeting the requirements of lawfulness and compliance, legal value and validity of data exchanged, privacy, data protection and protecting confidentiality. Key technical barriers are found around technical and semantic interoperability. Besides, reluctance to change existing systems may act as a barrier; it is therefore expected that the architecture for cross-border OOP is compatible with existing national solutions. Organisational and political barriers relate to organisational inertia, low political prioritisation of the OOP, multiple stakeholders and interests, limited resources, organisational interoperability and different pricing policies. The objective of this position paper is to articulate how the partners of The Once-Only Principle Project (“TOOP”, 2017-2019) understand the once-only principle (OOP) and, secondly, it aims to summarize the motivations and ambitions behind the project. This position paper will give a brief overview of the current political context and existing OOP initiatives in Europe, describe areas where this principle will be piloted in the framework of TOOP and provide details on the implementation of the project.